Going solar is a way of life that combines both innovation and affordability, offering you and your home many benefits. 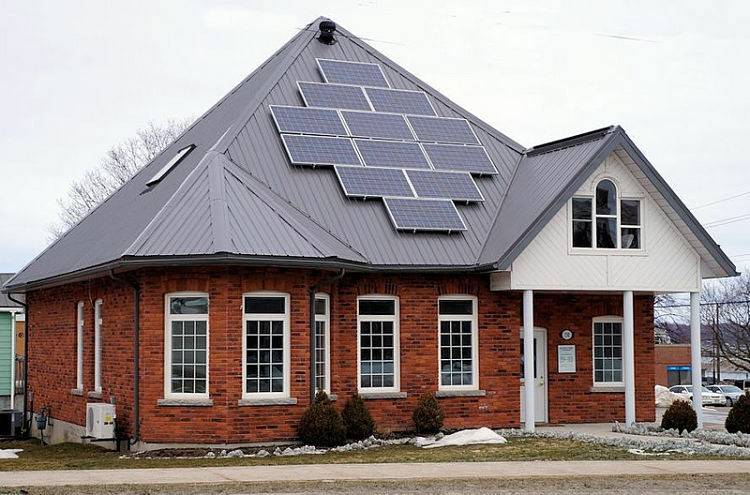 Solar technology has been around for some time now and many have seen the benefits and the good uses of it, both homeowners and governments. Steps are being taking to try and make the most of the natural energy received from the sun and to use it as much as possible for everyday energy needs, hoping it would one day become the main energy resource and supply. We from the Tri-Star Heating Air & Plumbing, best professional air conditioning company from Savannah, Georgia, are promoting sustainability and green living. Going solar has proved to be very cost-effective, as well as beneficial to the environment, because it decreases the energy waste, and with it the harmful impact we leave on the environment and our carbon footprint. Today, with local tax incentives, the green movement and innovative companies improving solar products, solar energy is becoming common and available to every household. Solar electric systems, i.e. solar roofs, are based on a renewable energy source, the sun, and therefore they don’t pollute the air, cause greenhouse gas emissions, or have any other detrimental effects on the environment. Apart from being eco-friendly, solar systems can be very cost-effective since they reduce your energy consumption and, with it, the electricity bills. When talking about solar roofs, we are actually talking about solar photovoltaic (PV) panels. These panels work to convert the light we receive from the sun directly into electric power. Solar panels consist of smaller parts called solar cells, and those cells consist of small silicon crystals that function as semiconductors. When the sun rays hit the surface of the PV panel and go into the solar cells, their energy frees the electrons in this semiconductor which then start floating and in turn create electricity. Keep in mind that solar PV panels need a lot of sunlight in order to function and produce enough energy for your household needs, so going solar will be far easier and a better investment for those living in sunny areas. While PV systems generate electricity, solar thermal systems generate heat. They attract heat from the sun, and the heat can be used to heat water or even work as a solar heating system. The main part of this system is a solar thermal collector, and there are many kinds of it, but they generally function in the same way. The sun creates heat in the solar thermal collector, which then circulates and heats the water in the water tank, where it is stored until it is needed. There are many options available when it comes to solar power, some more some less complex. The simplest thing you could do, that will also reduce your energy waste, as well as cut your utility bills, is install solar lighting. These lights can be installed both indoors and outdoors and are as good as, or even better than the standard lights. Their light is intensive, they are small so they can be put anywhere and are charged and powered by the panels or batteries. And if you ever need a help with the heating system as well, while investing in a solar lighting, you can always contact the number one local heating contractor in Savannah, GA.